My Great-grandmother, Margaret Godfrey Jarvis Overson, was a professional photographer in the small eastern Arizona community of St. Johns. Her father, Charles Godfrey DeFriez Jarvis started the tradition with his own photography business. 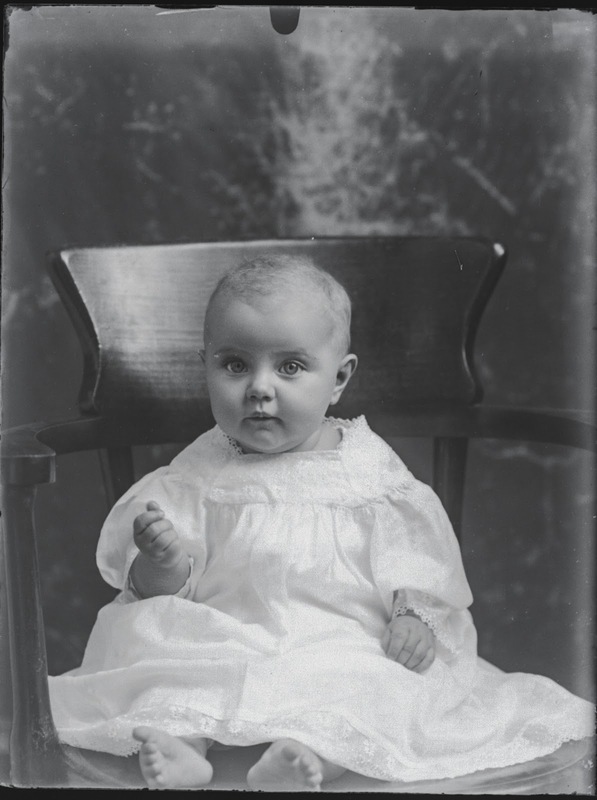 The photographs date from the late 1800s until the mid-1940s, with a few photos into the 1950s. Many of the photographs were published in conjunction with her book. Overson, Margaret Godfrey Jarvis. George Jarvis and Joseph George De Friez Genealogy. Mesa?, Ariz: M.G. Jarvis Overson, 1957. 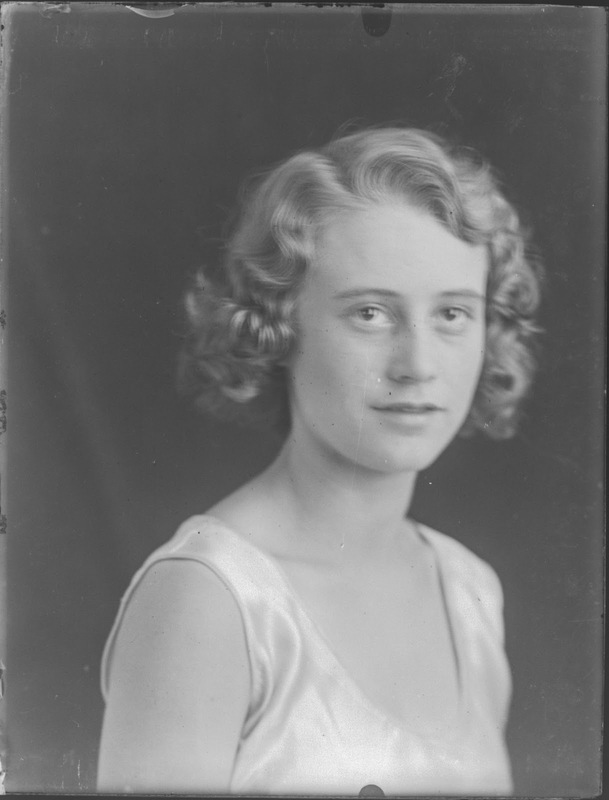 Last December, after a year's long search, we finally located the bulk of her photographs and negatives thanks to a blog post by my daughter, Amy in her blog, TheAncestorFiles.blogspot.com. I have been publishing some of the photos as photographic mysteries from time to time, but I thought it would be a good idea to begin publishing some of the other photographs. Many of the photos are of the Overson family and relatives, but as the town photographer, many are also of graduations, sports teams, family and town gatherings and other group shots. 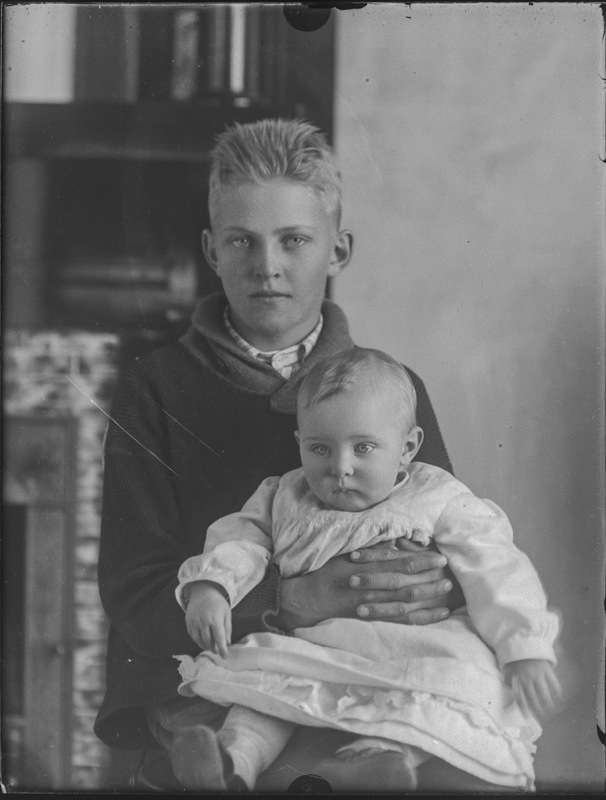 There are hundreds of photos of people who lived in Apache County. Hence, the mystery photos. The physical collection consists of glass plate negatives in a variety of sizes, acetate negatives cut from sheet film also in a variety of sizes and some prints. My original estimate was about 1000 or so negatives and prints. I have now been scanning the collection for about 9 months and processing the photos and have less the 1/4 of the items scanned. I have revised my estimate to around 3500 to 4000 photos including all the negatives and prints. So, from time to time I will be sharing some of these priceless photographs. Here's today's mystery photos. Some of the people look familiar and I might be able to track them down, but how about some background? These photos were taken by my Great-grandmother, Margaret Godfrey Jarvis Overson in around 1920, most likely in Apache County, Arizona. 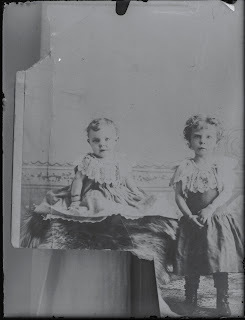 The one of the two children, one standing and one sitting, were obviously a copy of an earlier photo. 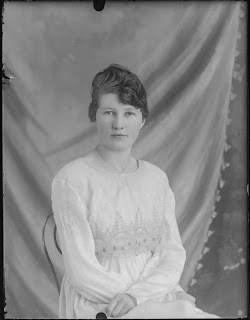 My daughter, Amy, in her blog, TheAncestorFiles.blogspot.com, has been helpful in identifying some of the photos. Sometimes I have a whole list of things I am thinking about but none of them is long enough to merit writing a whole blog post. So here are some of the things going on that need to be noticed. This will look a little like a list but just because I don't go on and on about the subjects they all need to be mentioned. 1. The FamilySearch Research Wiki is on the fritz. Formatting has essentially gone away due to a programming problem. Lee Drew has explained the problem in detail in his blog post "What Is Going On With The FamilySearch Wiki?" If you haven't noticed the problem, don't worry about it. If you are trying to edit pages in the Research Wiki, then have patience. 2. Standardized place names continue to spread throughout the genealogical community's online resources. FamilySearch Family Tree, Ancestry.com and others have "suggested" standardized place names for entries in place name fields. When you enter information into either a data field or a search field, the programs show a drop down menu of places with standardized names. The problem here is that over time, the names of places may have changed and the standard name should be the one at the time the event occurred not the present place name. In the case of data fields, the user may be "correcting" the entry with the wrong information and obscuring the original place name and location. This applies to many towns where the name has changed over time or counties and parishes where the boundaries have changed over time. It may even apply to countries that have changed over time. Think about someone born in the U.S. Canal Zone which no longer exists. What is the proper way to show their birth information? Are the records in the United States or Panama? 3. The website for RootsTech 2013 is now online with a lot of information about this upcoming event. As a consequence, the online presentations from the last RootsTech have disappeared. Links to the presentations now go to the new site. Here is a link to the old presentations. They are still online folks. 4. I have been using Adobe Bridge for some time now to view and edit photographs. I just got a copy of Adobe Lightroom and I am working my way through that challenging program. I will be writing more about both, when I figure out a use for Lightroom. Stay tuned. 5. Ancestry.com was expected to make a decision on the sale of the company by the end of September. Well, here it is the end of September and no news of a final sale. 6. I had one big presentation this past week to the Phoenix FamilySearch Center patrons and still have 11 or 12 more in the works over the next few weeks. The next big presentation will be an online, live webinar on FamilySearch Family Tree from the Mesa FamilySearch Library on October 15th at 2:00 pm Arizona time (right now the same as Pacific time). If you would like to see the webinar live, you will have to register. The next event will be the Mesa FamilySearch Library conference "Connecting to your Roots" on October 20th. Details on the website. I sure there are more. I will probably expand on some of these as things begin to develop. I had an interesting time talking to some early budding genealogists today and in the course of reviewing the huge masses of information, their relatives had accumulated, I ran across an interesting phenomena. Apparently, some people can't add or subtract. In this case, the ancestral lines in question had been plowed over a hundred or more times by many would-be genealogists. But there in details of the pedigree chart was a couple from England where the husband was supposedly 23 years YOUNGER than the wife and their first child was born when the mother was 24. So the Father was 1? Further, there second child was born 25 years later when the husband was 25 and the wife was 59. All this back in the late 1700s and early 1800s. Fortunately, many of the popular genealogy databases will alert you to these types of problems. But in a lot of cases, rather than accept the files from your relatives, you have to do the math. Certainly, the wife could have been the mother of the child born in about 1800 while she was born in 1777. But could the next child be born 25 years later. I suppose stranger things have happened but not with the same father. The marriage was supposed to be around 1800 which would support the birth of child in 1891 but not 1825 especially when the remaining children were born at regular intervals thereafter. It could be a case of choosing the wrong mother, having the wrong children in the family, the wrong husband or all of the above. 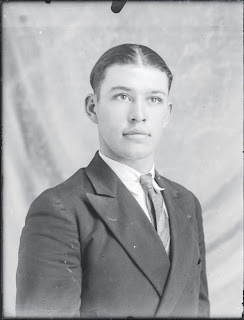 The interesting thing about this situation was not that the dates or people were undoubtedly confused, but that this had been included by a family that was so obviously involved in genealogy. Why didn't someone in the family do the math? In the early days, a large gap in the dates of the birth of children strongly suggested the death of one or more children or the death of a parent. I caught the problem because I automatically look at the sequence of the birth dates of children. When I noticed the parents dates, I suggested that he might want to investigate that whole family a little further and not simply accept the work of his relatives. It was a good entry into why we check sources and dates. It always helps to have a liberal measure of good sense and base your research in reality. Individuals and families did not live in a vacuum. A 59 year old mother having her first child with a husband 23 years her junior is not impossible, but in the early 1800s it was extremely unlikely. Especially, as I already noted, when several children were apparently born to the couple over the next few years. Most errors are not so obvious. You might notice a gap of only two or three years. But even then, it is a good idea to investigate further. It is not automatic that the information is incorrect, but simply questionable. This principle can be carried much further than simply calculating birth, marriage and death dates. You need to think in terms of reality at all times. Once when I was a teenager, I had a friend whose father was a pressman for the newspaper. We went downtown one day to visit his father at the newspaper. I remember going into the huge press room where the noise was so loud that you could not hear when shouting. I think that the newspaper press was one of the largest, noisiest, and most complicated machines I had seen up to that time in my life. I always remember the old movies and TV shows, when something was happening, they would always show the presses running and a copy of the newspaper, showing the headlines would come spinning out until it showed on the screen, to emphasize the importance of the event. Presses still run and they are still loud, but the only spinning newspapers I have seen lately are in old movies. Phoenix used to have two daily newspapers, the Arizona Republic, and the Phoenix Gazette. Now there is hardly one. If you want to get some idea of the impact of the digital age on print newspapers, look at the Wikipedia article, List of defunct newspapers of the United States and the website, Newspaper Death Watch. The only newspaper I see now is a free advertising paper thrown on my driveway three or four times a week. Realizing that print newspapers are disappearing rapidly, a partnership between the Library of Congress and the National Endowment for the Humanities created the National Digital Newspaper Program. The U.S. Federal Government is not alone in its interest in preserving its newspaper heritage, individual states have similar projects and many other countries of the world have adopted aggressive programs to digitize existing newspaper collections. In addition, there are significantly large private commercial collection efforts. There is a list of national projects online at Wikipedia. In my experience, genealogists tend to think of newspapers in a very limited way, mainly as a place to look for obituaries. Very few researchers have made extensive use of the newspapers' content in their research. But the newspapers' content stretches way beyond obituaries. Newspapers were the daily diary of the world. Especially in small towns, newspapers were the Facebook of their day and told the story of the families living in the circulation area. Today, most who see some of the old newspapers for the first time, are amazed at the rich detail in their pages. Some public libraries, many historical societies and some museums have collections of old newspapers moldering away in basements and storage areas undigitized. It is still too early to tell if the digitization efforts will stem the loss of these valuable records. It is a fact of life that newspaper were printed on cheap, high acid content paper and if left unconserved, the papers will disintegrate over time. The first go-to place for newspapers in the United States, is the Library of Congress. The Chronicling America, National Newspaper Project, has millions of pages of completely indexed newspapers online as well as a Directory of all the papers published in America from 1690 to the present. In every country where there is a similar project you can find collections of newspapers. For example, the National Library of Australia (NLA) provides free searchable online access to digitized copies of out-of-copyright Australian newspapers (1802–1982). The NLA list of available titles includes more than 50 capital city and rural newspapers. There are many, many more examples. In the U.S. there are also online, usually commercial subscription services such as MyHeritage.com's WorldVitalRecords, Newsbank.com (GenealogyBank.com) and many others. Hopefully, when the presses stop rolling for the last time, we will still have our legacy of newspapers to research. Trove, the website of the National Library of Australia, has, as of today, 310,226,952 Australian and online resources. Too bad we aren't all Australians, although I am sure they are glad we are not. As a matter of fact, some of my ancestors came to the United States from Australia in my Parkinson and Bryant lines, although they were not natives, having immigrated from England. I still have relatives that live in Australia and a niece that lives near Perth. When I was younger, I dreamt about going to Australia and particularly digging for opal in Coober Pedy. Now that I am much older, it looks like this is one dream that will never come true. If you don't have Australian relatives, you still can find some gems of information and families extending back into England, Ireland, Scotland and Wales. 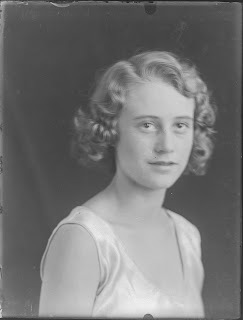 I have even found entries by my genealogical blogging friend, Jill Ball. I was talking to one of my friends at the Mesa FamilySearch Library as he was sitting working on some of his family names and made a comment about the change from New.FamilySearch.org to FamilySearch Family Tree on FamilySearch.org. He was extremely surprised and reacted very negatively. He really couldn't be bothered with a change to a new program, no matter how good it was! He saw no need for change. The old or original (classic) FamilySearch.org website went online in 1999 and went off line in 2012. The classic site i/was much better. The new site does not work properly, at all. Waste of time putting much info in as it will totally ignore it. Programming is pathetic. In response, the "classic" FamilySearch.org website was severely limited in its content. It contained very little original source information and was primarily a site for user contributed information in the form of the Ancestral File (AF), the Pedigree Resource File (PRF) and the International Genealogical Index (IGI). Part of the IGI was (and is) extracted names in an index format but the remaining information was duplicative and needed to be verified. The most important thing to understand is ALL THE INFORMATION IN THE IGI, AF AND PRF IS IN THE NEW WEBSITE (which is not so new now since it has been up for almost a year). The old site also had the Social Security Death Index. Hmm. Also on the new site. What exactly is missing? I guess the commentator would rather have to pay for and look at microfilm than have the information on his home computer for free. If the updated FamilySearch.org website has the same information as the old, now discarded, website, then how can the older site be so much better? Especially when the new site has infinitely more information and original sources than the old? When I teach a group of people about any of the changes to the new site, I get exactly this same reaction; why do we have to change? I think that these people should get what they deserve: an eternity looking at microfilm. The same thing goes for New.FamilySearch.org. 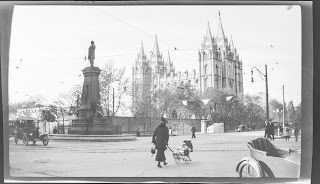 I can tell you what one of the real issues is with the change over to Family Tree; many of the people who are qualifying names of people to whom they are not related for LDS Temple ordinances and/or doing duplicate work, realize their days are numbered. The new Family Tree program will drastically reduce the opportunity for duplication and working with unrelated names. I personally know people who are upset that they cannot continue in their old ways of doing things happily doing duplicative work. An amalgam of recession-driven budget cuts and fast-moving technological changes could result in a black hole of government information whose impact might not be understood for decades. I see this as a threat to our collective individual freedom. If we cannot obtain information about our governments' activities, we cannot remain a free people for long. Those who wish to foster oligarchies and dictatorships thrive on controlling the flow of information to the public. This is not just a challenge to genealogists finding their ancestors, but a challenge to our ability to hold our federal, state and local governments responsible for their actions. Georgia Archives Closing -- Georgia needs your voice! Secretary of State Brian Kemp issued a press release on Thursday, 13 September 2012, announcing that the Georgia State Archives will be closed on 1 November 2012 due to budget cuts. You absolutely can help. Here is a link to the full information on the problem. One person can absolutely make a difference! Getting personally involved is the best way to use your voice and to protect and preserve our access to the Georgia Archives. Contact the Governor, Secretary of State, Lt. Governor and legislators. You can choose to telephone, fax, e-mail or send a letter. Take some time and word your comments carefully. Be articulate and polite, get directly to the point and make your position clear. If you choose to e-mail, do not include attachments. Remember, It is important not to send a form letter but to send your own thoughts. A form letter may not be read. Also, while it is important to sign petitions, keep in mind that one petition of a thousand names may only count as one complaint so you still need to send your comments directly to your legislators, the Secretary of State, and the Governor. If you haven't read the full extent of the issue, please check out the link to the full information on the problem. 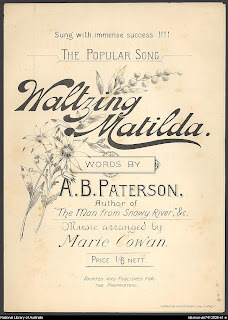 There are millions upon millions of digitized books online and many millions of those even larger millions are in the public domain and free and completely searchable. So, you say, what good are millions of books if the one I need or want is not there? Good question, but it begs the issue. What is more likely is that there is a genealogically valuable book out there that you have yet to find or know about. Recently, one of my distant relatives showed me a surname book written about one of my direct ancestors with hundreds of pages, that I had never seen or heard about! What's so great about this? Remember, I spend literally hundreds of hours scouring the Internet and you would think that I would follow my own advice and would have long ago have found the book. Parkinson, Diane, and John Parkinson. Samuel Charles Bryant of Rolvenden: His Roots and His Branches : England, Australia, America : a Biographical History and Genealogical Record of the Family of Samuel Charles and Sarai Stapley Bryant. Austin, Tex: Published for the Samuel Charles Bryant Family Association by Historical Publications, 1993. How did I find the book online? First, I looked for the name of the ancestor. No luck. Then I tried WorldCat.org. Still no luck. I did several more searches online with no results, so I called the publisher. They didn't remember the book at all. Hmmm. I began to think maybe this was one of those family publications that never made it into a library. But that is not the case. Finally, persistence paid off. I searched WorldCat.com for the names of the authors who had published a similar book of which I had a copy. So by looking for the authors, then copies of the book began to appear online. The answer was simple, I was looking for the wrong title. It turns out that two major libraries have copies of the book. The citation of the book in WorldCat.org references a family organization. What it turned out finally was that it was in Amazon.com and several other places but out-of-print and unavailable, I hadn't searched completely enough. Then I realized that I should check several other places, such as the Family History Library, for example.Yes, they have a copy also. Now here is the problem. If these family organizations have these books, which are in a very few (or no) libraries, then why don't they have the book scanned an put online? Usually, if you inquire about the book, you will find some family member with a stack of the printed copies in a garage or closet. 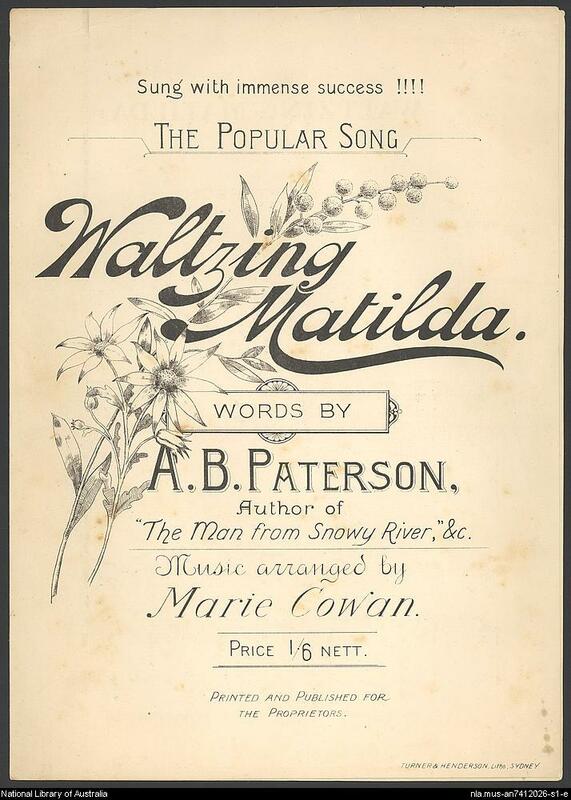 The original publishers printed the book and tried to sell it to family members to recoup the cost of publication. In many cases, in my experience, they could not sell enough of the books to pay the costs of publication, so they are not willing to scan the book and give it away to the public. With our copyright laws, we will all have to wait for a hundred years to gain access to a copy of the book. Now, I could order the book through Inter-library Loan. I tried that next. So, I went to my local public library and logged in to my account. One of the options I had was to order a book through Interlibrary Loan. After filling out the form with the information I found in WorldCat.org and elsewhere, I ordered the book. I will let you know what happens and if they can find a copy. Since the book is in the Library of Congress, I may also be able to get the book directly from them. Once I found the book online, it popped up everywhere. I found it in OpenLibrary.org and the Family History Library Catalog. Persistence pays. The lesson to be learned from this search? Keep looking for combinations of title and author or authors. First efforts may not always produce results. Hindu pilgrimage records kept by a Pandit Madhukar Balkrishan Akolkar at Trimbakeshwar, Maharashtra, India. They include records for people from Maharashtra, Gujarat, Punjab and Rajasthan, India. These records are created and updated when family members pass on. The registers are arranged by "caste" and contain native place, names of family members, the last occasion on which a family member came to this place of pilgrimage and made an entry in the register, the ceremony performed at the time and offering made to the priest. No women are mentioned unless their deaths are referred to indirectly. The ancient custom of keeping family genealogies is not well-known today to Indians settled abroad. Professional Hindu Brahmin Pandits, popularly known as "Pandas", kept detailed family genealogies over the past several generations at the Hindu holy city of Haridwar. 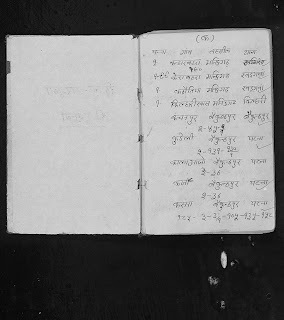 The registers are handwritten, having been passed down to them over generations by their Pandit ancestors, and are classified according to original districts and villages of one's ancestors. Special designated Pandit families are in charge of designated district registers, including ancestral districts and villages that were left behind when Hindus had to migrate from Pakistan to India after the Partition of India. In several cases, present-day Hindu descendents are now Sikhs, Muslims, and even Christians. It is not uncommon for researchers to find details of up to or even more than their past seven generations in these genealogy registers. I think we get pretty focused on our own narrow area of research and tend to forget the rest of world out there is probably seeking their ancestors also. There are some good reminders coming up in the Historical Record Collections. Go to a library or other book repository and use their books to do research. This means sitting in a library day after day taking notes. Of course, if you are allowed, you can use a scanner or a camera to speed up the process. Spend huge amounts of money and buy all the books you need. Not much of an option, especially when every available space in your house either has boxes of documents or books. Try and find the books online, hopefully, for free. 4. Employ someone (for pay or otherwise) to look up a book in a library and copy out the pertinent sections. 5. Use Inter-library loan to have a book sent to you from a remote location. My prediction is that libraries participating in Inter-library loan, will finally get tired of shipping books all over the country and start digitizing the books and making digital copies available to be checked out online. As books continue to be digitized, some of the options will become less and less of an issue. There are enough books digitized online now, that the options involving physically obtaining the books ought to be secondary to first making a thorough search online. All of the books online (read digitized books online) are divided into two major categories: those that are out of copyright protection and those still protected by copyright. There are books that would normally be protected by copyright, where the author or publisher has released the book into the public domain, but they are few and far between. Although both copyrighted books and those out of copyright are being digitized, it is usually only those out of copyright that will show up for free in the online collections. Otherwise, with copyrighted material, it may be that the only way to obtain a copy is to use the library or pay for the book. Many books are being published today both in paper and digital editions with an every increasing number of books being published only in digital or eBook editions. Fortunately, as genealogists, we are not so interested (as genealogists not as regular book readers) in best sellers and such and we are therefore going to find a huge number of digitized materials online that are directly related to genealogical research. Unlike looking for a source record about an individual, books are not necessarily going to be located geographically close to place of an event in the ancestor's life. Books are highly mobile and a physical copy of any given book could literally be anywhere on earth. So, to find a book online, you may have to search a number of catalogs of various libraries and other sources to find the book. So where would I look first? That's easy. Google Books. Google has scanned millions of books and a search in Google Books for the term "genealogy" will give millions of results. You will immediately learn that there are three categories of books on Google, dependent primarily on availability and copyright restrictions. The three categories are Preview, Snippit and Read. Preview books are just that a previews of the book, just enough to get your interest in buying the book and nothing more. These are books that are currently for sale and under copyright protection. Snippit view books may not be readily available for purchase, but they are still mostly covered by copyright law. Google give a little bit more information, but the contents of the book are still limited. If a book falls in the Read category, that means the book has not only been digitized, it is also available to be read or downloaded from the Internet. In each case, Google gives you the option of finding the book in a library. To do this, Google has an agreement with WorldCat.org, the largest online catalog with over a billion and half entries. You are missing your research life if you are not using WorldCat.org. You may have noticed that I listed it as one of the ten most valuable programs I use regularly. In order to avoid a listing in WorldCat.org, a book would have to be of such limited production that it did not find its way into a library. Fortunately, there are not many books overall that don't find their way into WorldCat.org. Unfortunately, some of those books are very limited run family history related books. Fortunately, there are other digital book collections online that are extensive and merit a separate search. So let me show you how I would find a book. I will use an example, surname book written by my Great-grandmother Margaret Godfrey Jarvis Overson. One of the first problems is knowing that such a book exists at all. Especially for books written many years ago, the descendents of the named ancestor or those with the surname, may not have any knowledge of the book written about their family. So, you must assume that such a book exists for any of the families in your ancestral lines until you determine otherwise. The catch here is that with all the books being digitized each year, the search for books is never over. So digging right in, I search for my Great-grandmother in Google books, simply making the assumption that a book exists. A Google Book search, using her name as the search term, brings up her book with a search on her name. It you do not know if a book exists, then the search may or may not bring results, but the exercise is valuable for every ancestor. There do not appear to any digitized copies of the book online, likely because the book is still under copyright protection. But just in case, I also check a couple of other places. First, I look in the Family History Library Catalog on FamilySearch.org. 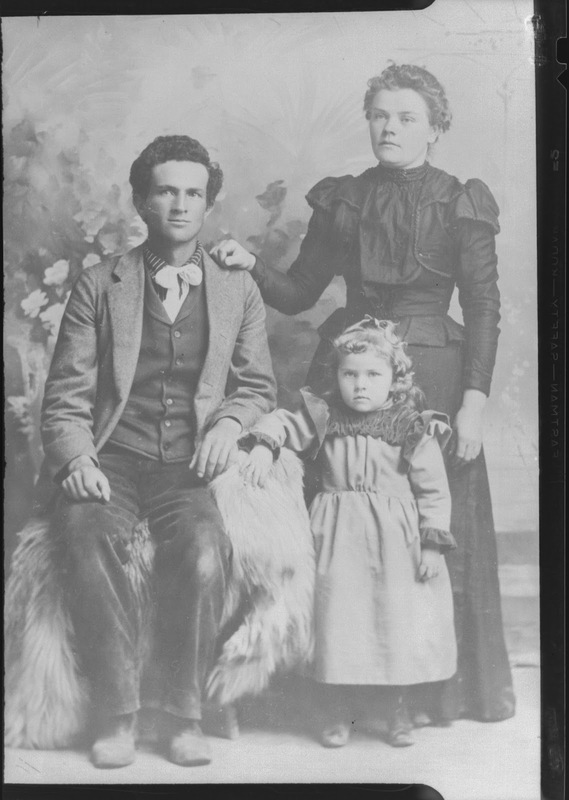 Many of the Family History Library's holdings are being digitized and the catalog does not appear in WorldCat.org. So I look there and find the book but no digitized copy. I could keep looking, but that will have to be the subject of another post. Mocavo -- A New Player in the Genealogical Market? Boulder-based Mocavo, the venture backed developer of genealogy search tools, said this morning that it has acquired Orem, Utah-based ReadyMicro, a developer of document capture and scanning technology. Financial terms of the buy were not disclosed. According to Mocavo, it is "no longer just a genealogy search engine" and hinted at future announcements around new products. The firm said that Matt Garner, who is behind ReadyMicro, will join the company's team and continue to operate out of Orem. ReadyMicro's customers include FamilyLink.com, Kansas State University, and others. As a matter of course, I upgraded by iPhone 4S to iOS 6. There were several new apps included with the upgrade and some of them appeared interesting. I knew beforehand that Apple was dumping Google Maps in favor of its own proprietary map app (say that fast six times) so I wasn't at all surprised at the new replacement. From reading the news about the Apple iPhone 5 intro and the comments about the new Map app, you would think that Apple had shot itself in the foot and was finally going to lose its position as the most valuable company in history. Oh, and then the product was introduced and the media was so disappointed that Apple only sold 5 million iPhone 5s in the first weekend. Oh dear, what can the matter be? Apple must be losing it. Only more iPhones sold in two days than there are people in the sixth largest city in the U.S. including every single man, woman and child. So is there some reality here? What am I missing. I have had the new iOS 6 on my iPhone for a couple of days and tried out the map several times. Oh, guess what? It isn't Google maps. But all the handwringers apparently don't use iPhones. Why is that? Google already has a map app for the iPhone it is called Google Local. You can look up anything you want in Local and then switch to Google Maps if you still wish to do so. No sweat. And just in case the rest of the commentators missed using their iPhones, there has always been MapQuest, a good alternative to both Google Maps and Apple's offering. The real issue is the huge competition going on between Apple and Google. There will be some things that do not survive the battle. In this instance, Google is acting like a sulking child saying, "I want my way or I won't play." Apple is responding by saying we will move our game elsewhere. When you are the biggest and the best, people will always try to tear you down. Will I look forward to a Google Maps App? Yes, I will download it as soon as it is released. Will I upgrade my iPhone 4 to an iPhone 5? Umm. Not likely anytime soon. Here is the announcement from the RootsTech folks about the upcoming conference. I have thoroughly enjoyed the last two conferences and am looking forward to the one coming in March, 2013. I will also be presenting a class on maps. I will have more about that in later blog posts, but you will be able to download the syllabus shortly. I ran across a copy of the Genealogical Computer Pioneer magazine/journal. I happened still have Volume 2, No. 3 from the Spring of 1984. The journal was published by Joanna W. Posey of Posey International in Orem, Utah. She was also starting the Genealogical Computer Information Center. The back of my copy has an ad for Family Roots, fro Quinsept, Inc. in Lexington, Massachusetts. The program was advertised for Apple, IBM and CP/M operating systems and that CBM-64 would soon be available. The program had a 900 name limit. The National Genealogical Society will have its annual conference in San Francisco, May 24-26, 1984 at the Sheraton Palace Hotel...Registration is open to all. Lectures on genealogical use will be given. 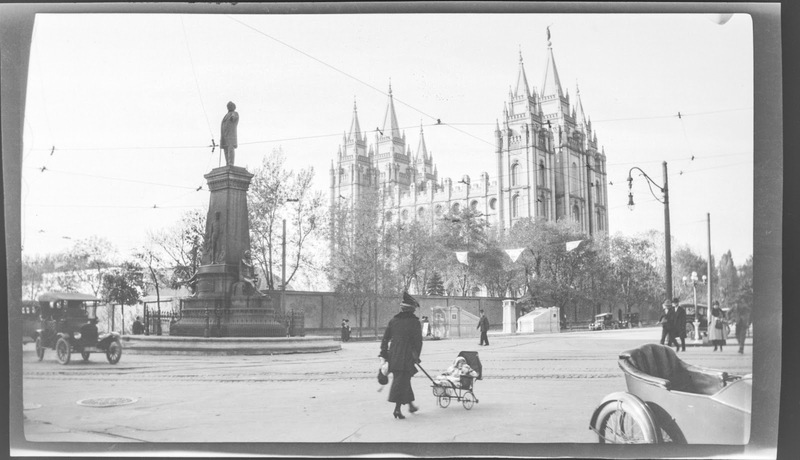 The LDS Genealogical Depatement of the LDS Church will have its annual Family History Festival during the second week of June at the Church Office Building, 50 E. North Temple, Salt Lake City. Among other topics of family historical interest, the Festival will feature lectures on genealogical computer use. Some of the programs mentioned in the journal are Personal Ancestral File, Roots II by Commsoft which was replacing Roots/M, Ancestors a program for Atari Owners and Family Reunion for the IBM PC from Personal Software Co. of Salt Lake City, Utah. Every genealogist who uses a computer has had the fantasy of being able to connect a home coputer to a giant data base and obtain accurate details and life stories of every ancestor back to Adam or Australopithecus. Forget it! No computer that has been build can hold all of the details of every individual that has ever lived on the face of the earth. It is also possible that other fairly large data banks may be established by other organizations which could have computerized indexes to census records or other vital records. Perhaps that information could eventually be available to home computer users. If computer aided genealogical research is to have any validity or quality it is essential that the computerized data maintained by an individual researcher must include the same attention to source documentation and detail that the research notes of conventional researchers include. It seems like we haven't progressed so far after all. With all of our highfalutin computer systems, we are still struggling with paying attention to source documentation. I contributed an article to one of the very first Computer Genealogical Pioneer journals and got it back with a note from Joanna Posey, that maybe I would like to learn how to spell genealogy! Family History Expos is in the process of rapidly expanding their offering in their online catalog or Genealogy Store. Recently added items include the popular software programs, Ancestral Quest 14, Legacy Family Tree 7.5, and RootsMagic 5. The number of items for sale have increased dramatically just in the past week. The catalog is available through the Shop link from the startup page. Announcements of new products added to the catalog and presently available will be made regularly through the Family History Expos Blog.